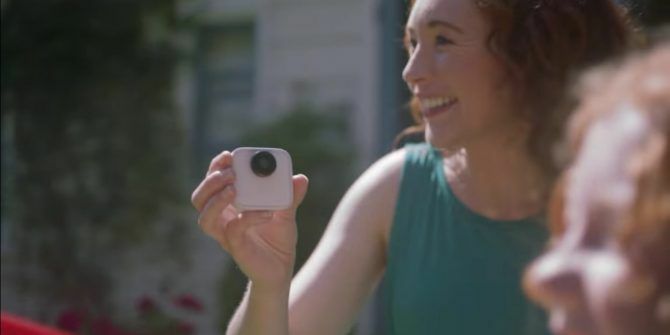 Google has started selling its adorable little Clips camera. Unfortunately, at the time of writing, the device is already out of stock. The first pre-orders are due to start shipping at the end of February, but there’s no word yet on if and when Google will start taking orders again. Google is becoming a serious contender when it comes to hardware. Its current lineup includes the Pixel 2, the Google Home speaker, the Chromecast, Pixel Buds, and Daydream View (which Plex now supports You Can Now Watch Plex in Virtual Reality You Can Now Watch Plex in Virtual Reality Plex has launched a new app called Plex VR. This means you can watch Plex in a virtual apartment or drive-in theater, and even invite your real friends along to share your virtual popcorn. Read More ). And the company is also preparing to unleash Google Clips onto the world. Google unveiled its Clips camera at an event in October 2017, taking everyone by surprise. In case you missed it, Clips is a small, box-like camera designed to be placed somewhere and then left to do its own thing. That thing being capturing short, soundless clips of people and animals. The idea is that Clips will be able to shoot photos of moments even the best photographers might miss. Simply because Clips is always there and always waiting for the right opportunity. There IS a button so that you can manually shoot photos, but that’s not meant to be its primary use. The Google Clips trail has gone cold since October, until this past weekend when Google quietly opened pre-orders. Unfortunately, despite Google not broadcasting its release to the world, Clips is now listed as out of stock. And interested parties are invited to join a waitlist instead. Still, those fortunate enough to have nabbed one of the first pre-orders can expect to receive their Clips camera at the end of February. And we have to assume Google will then ramp up production. But with a retail price of $249, it isn’t yet clear how great the demand will be. Google Clips is an intriguing little device, but I’m not convinced it will have mainstream appeal. Because while we all like the idea of capturing unposed shots of our families, most people are content with just using their smartphone 10 Simple Tricks to Boost Your Smartphone Photography 10 Simple Tricks to Boost Your Smartphone Photography There are a few tips that are especially useful when you're taking shots with your phone; they'll help you take your pictures from "blah" to "fantastic" in no time! Read More . Especially when Google Clips costs $249 to buy. What do you think of the new Google Clips camera? Can you see the appeal of this particular device? Or would you rather just shoot your own images and videos? Are you likely to buy a Google Clips camera? If so, for what purpose? Please let us know in the comments below! Explore more about: Digital Camera, Google.